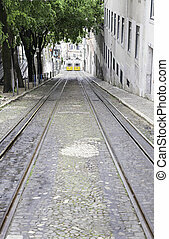 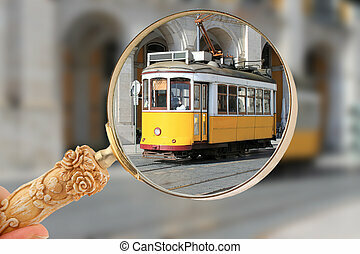 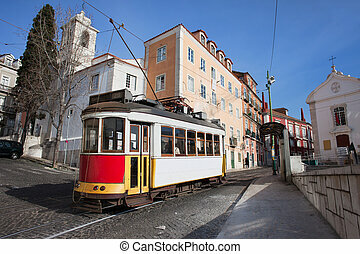 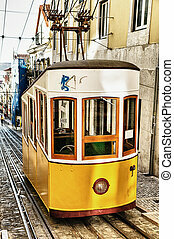 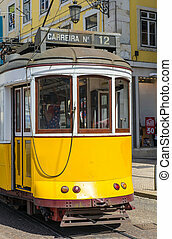 Historic streetcar in alfama lisbon. 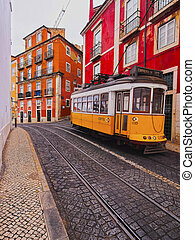 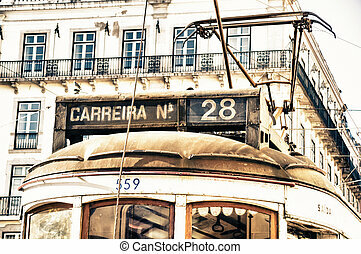 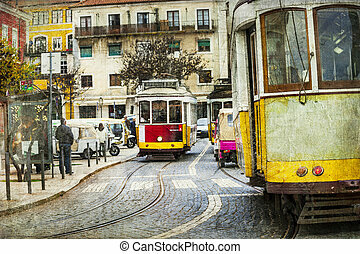 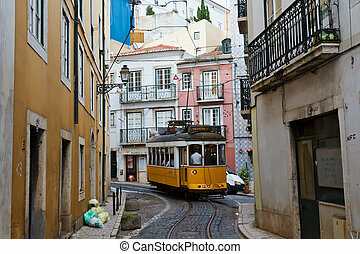 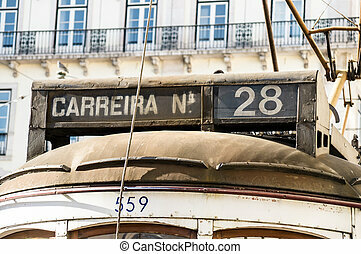 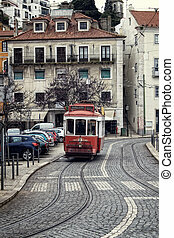 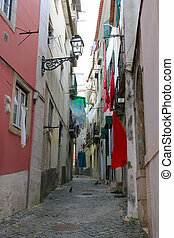 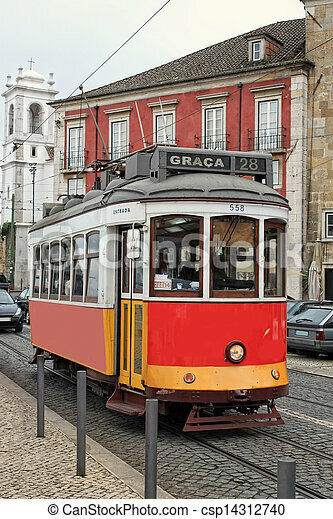 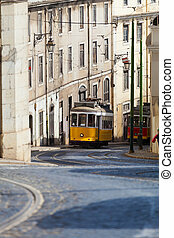 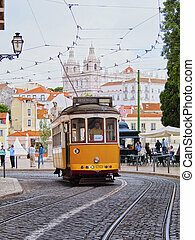 Historic number 28 red tram or streetcar on the cobblestone streets of alfama, lisbon, portugal. 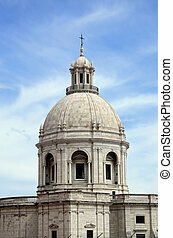 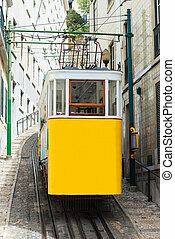 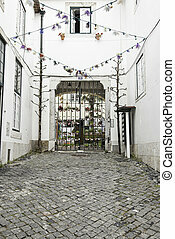 Famous historic funicular railway in Lisbon. 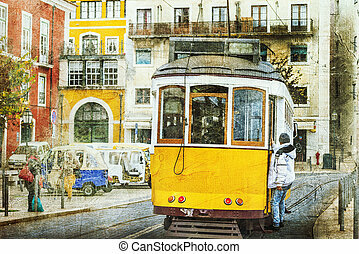 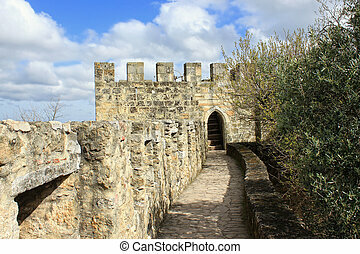 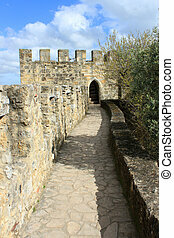 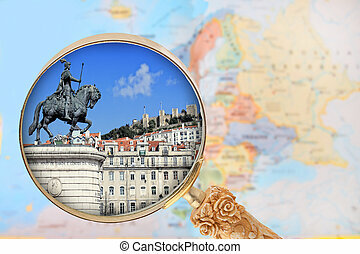 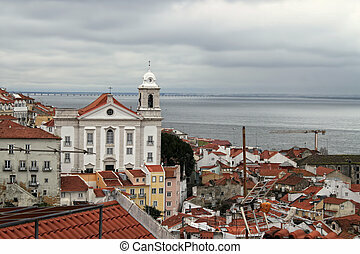 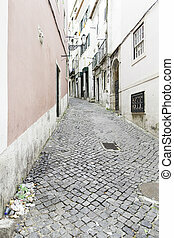 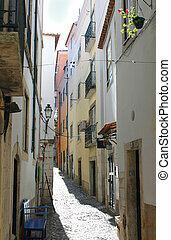 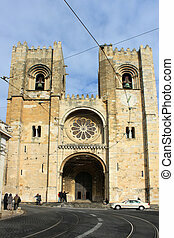 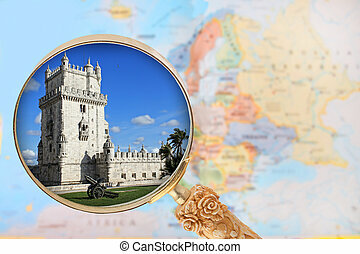 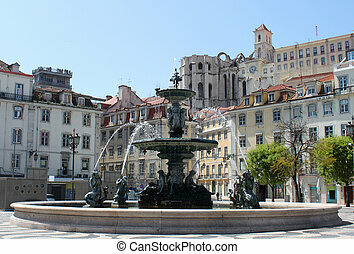 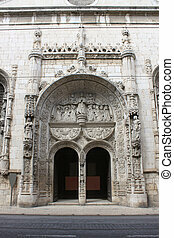 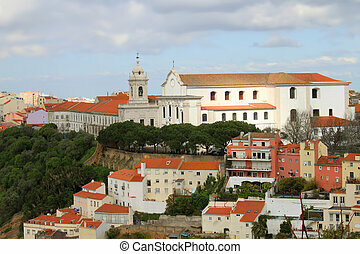 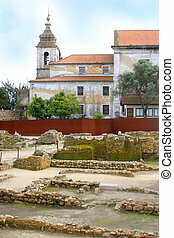 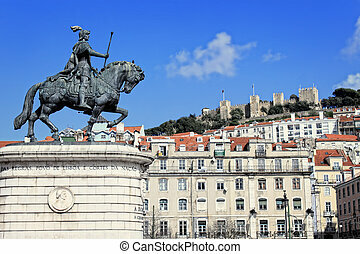 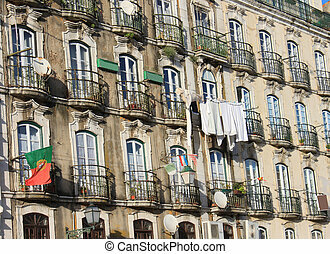 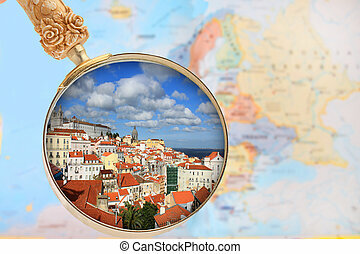 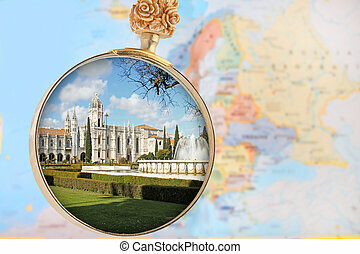 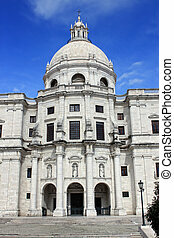 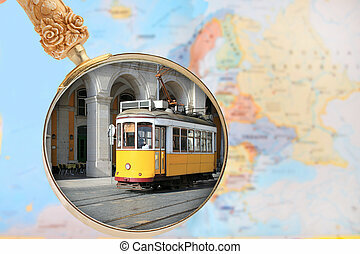 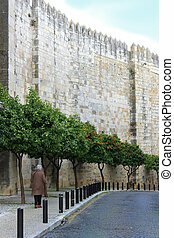 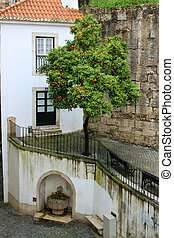 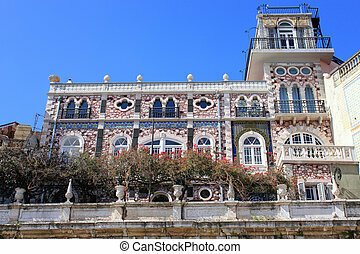 Beautiful Lisbon,Artwork in Retro Style. 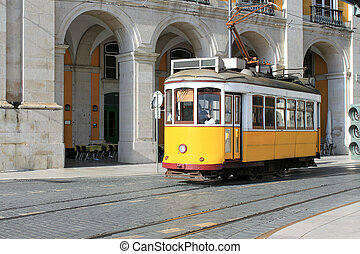 Beautiful Old Tram in Lisbon.